A picture is supposed to be worth 1,000 words, right? This image might not be the picture-perfect detail of fit living--sugary sweet Peeps make an Easter appearance, and every last one in the package was consumed before the day's end--but it comes close. Kind of, if you count the day it represents and not the picture itself. Skiing, skiing and more skiing. All at Keystone Resort to close out its 2011-2012 season. 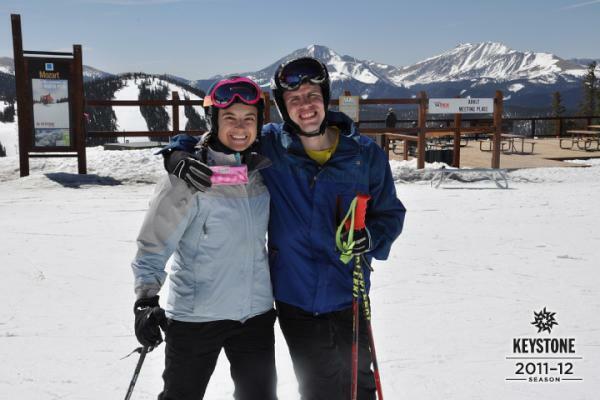 Skiing was my exercise on Easter Sunday, an all-day adventure where those Easter sweets were erased with each vertical foot logged through EpicMix, the app developed by Vail Resorts that tracks your skiing accomplishments and puts a social media spin to them. As of the start of this ski season, the app goes one step further, adding photos to the experience that can be purchased or shared via email, Facebook and Twitter. And this photo was my first. So what if it took until the last day to get it?